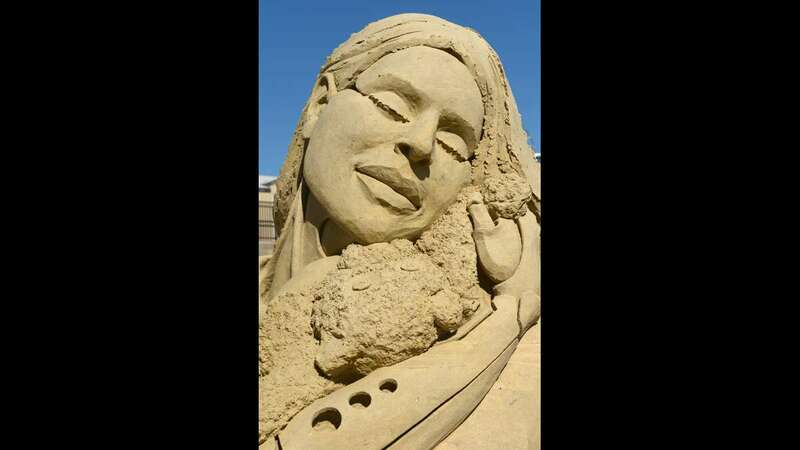 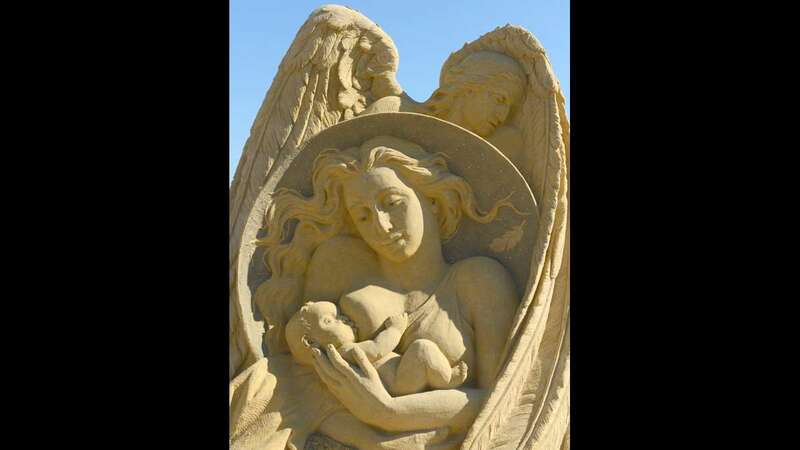 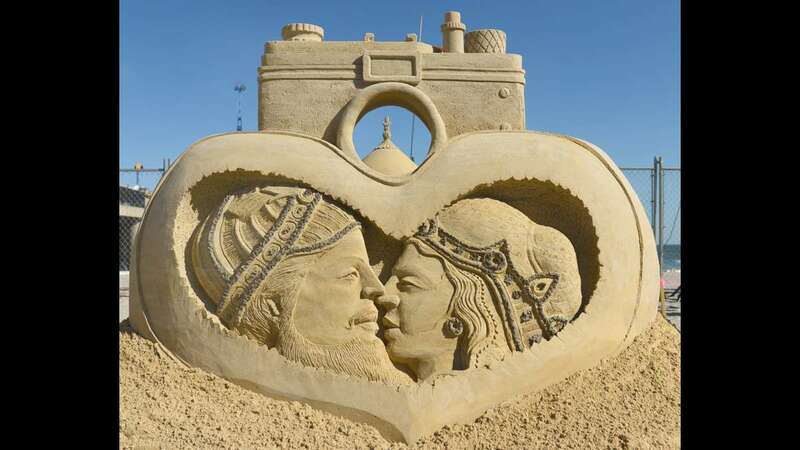 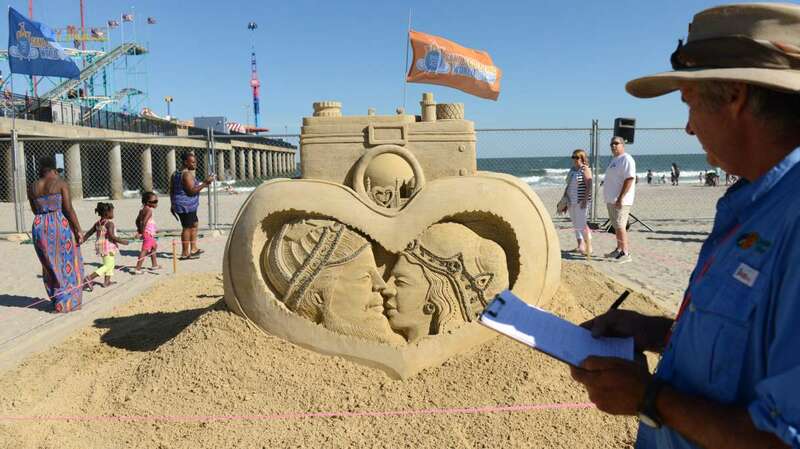 It doesn’t seem possible that the fantastic soaring shapes and fine details of the entries in the Atlantic City Sand Sculpting World Cup were created using only sand and water. 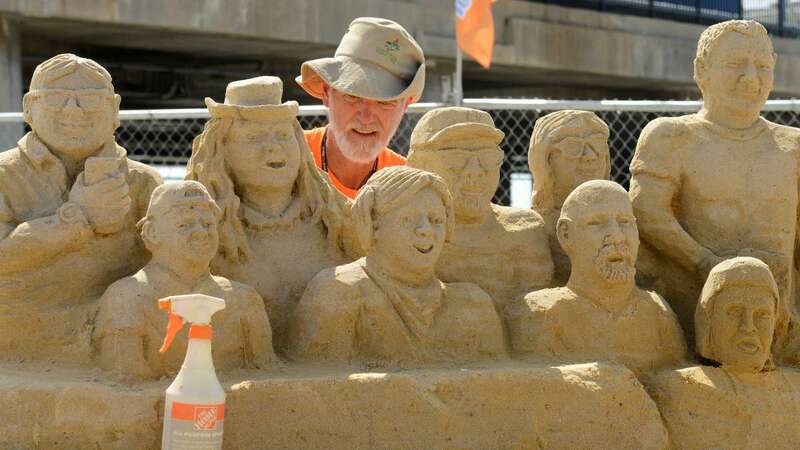 But they were, according to event coordinator and sand carver John Gowdy. 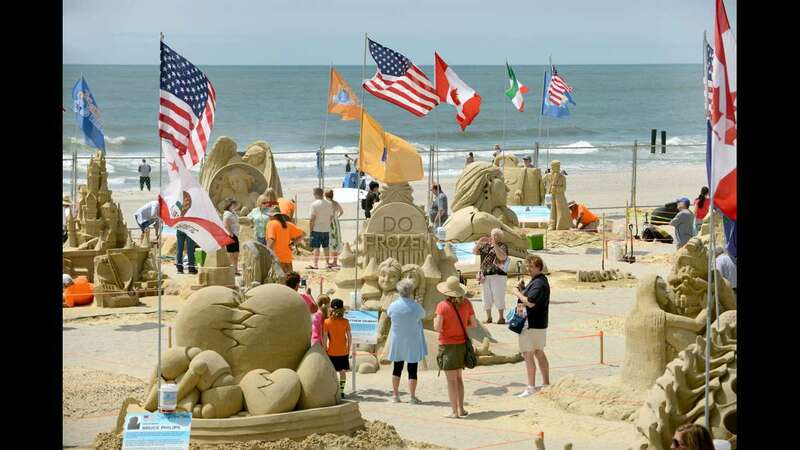 Each competitor received 10 tons of sand and access to water. 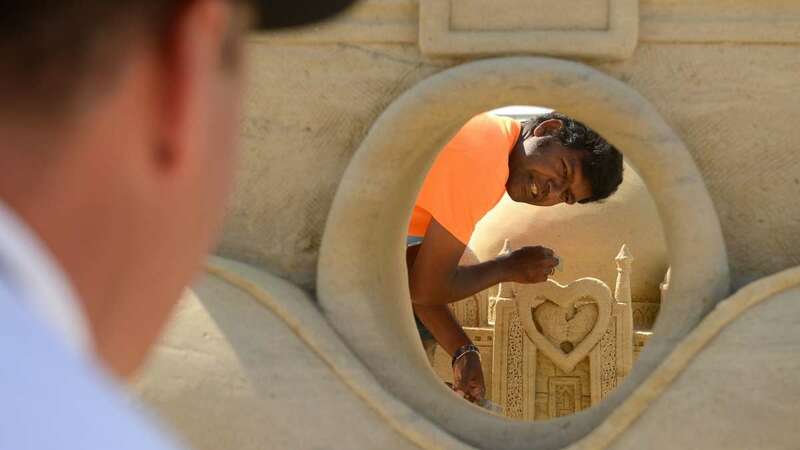 Only after the sculptures are completed are they sprayed with a mixture of biodegradable glue and water to protect them from the weather, said Gowdy. 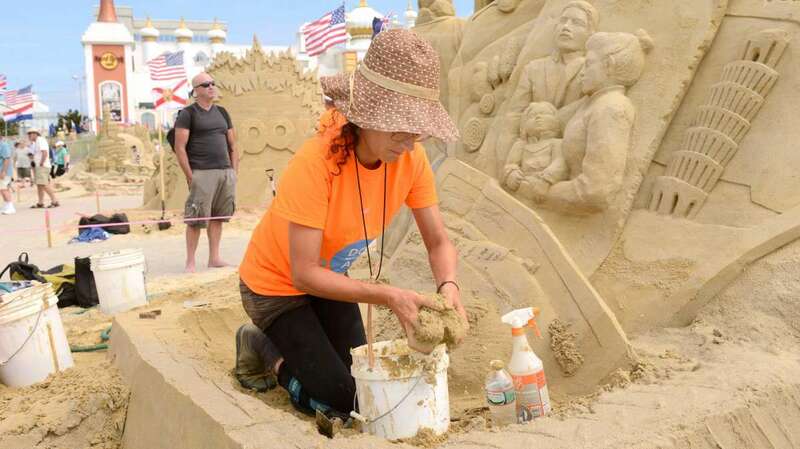 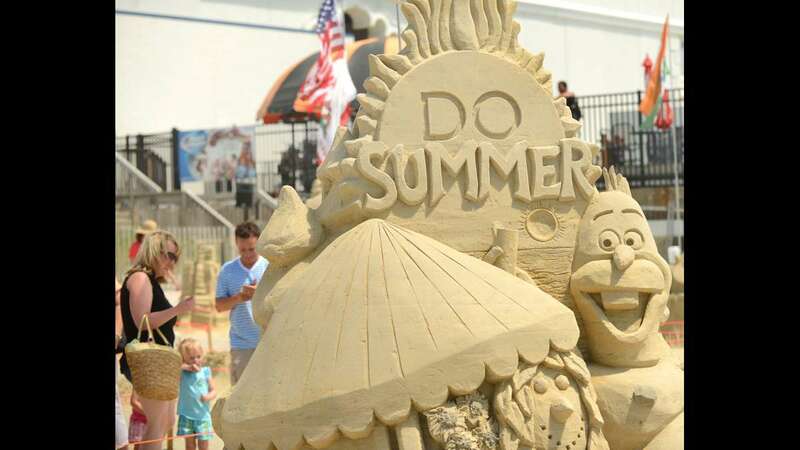 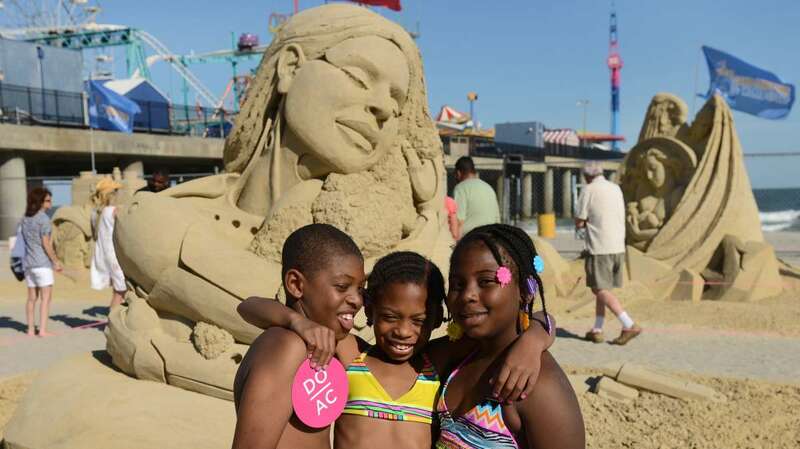 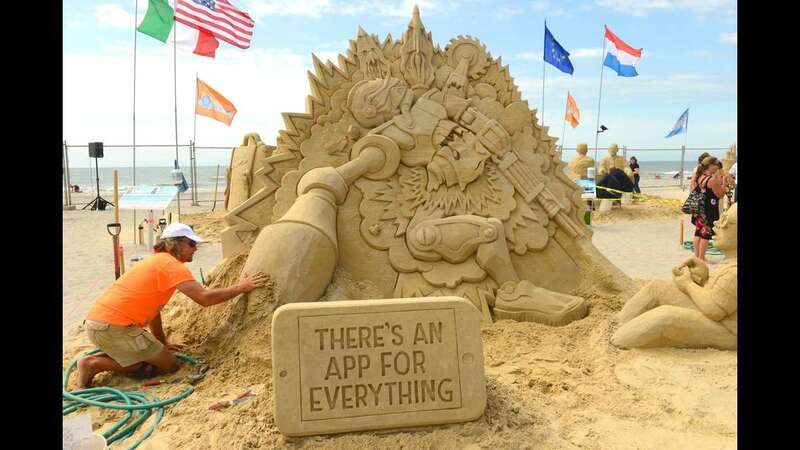 Now in its second year, the DO AC Sand Sculpting World Cup brought together 20 internationally renowned sand sculptors recruited by Gowdy, a retired Atlantic City fire captain. 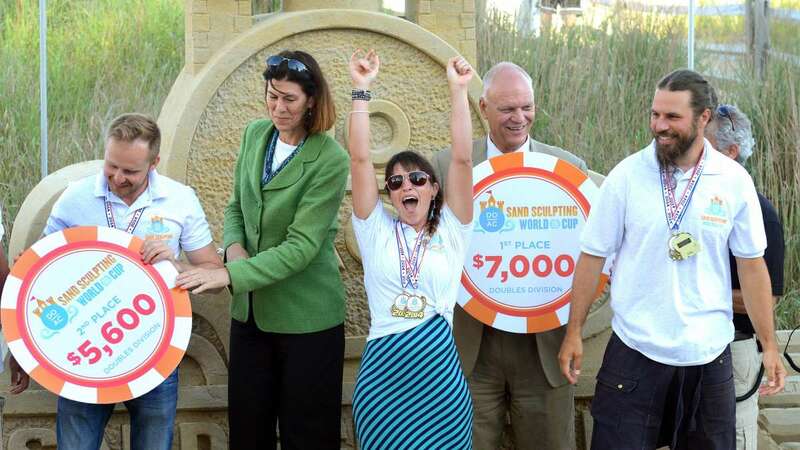 Sculptors from 11 countries competed for $75,000 in prize money provided by the Atlantic City Alliance. 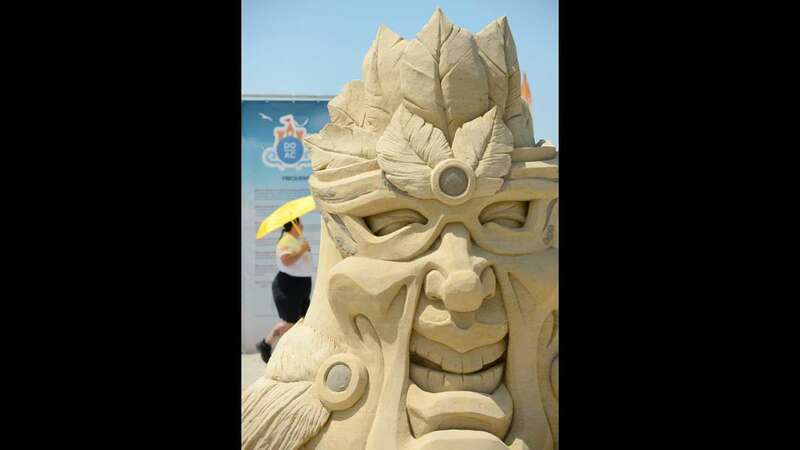 The competition started on June 19 when 500 tons of sand was distributed among the contestants. 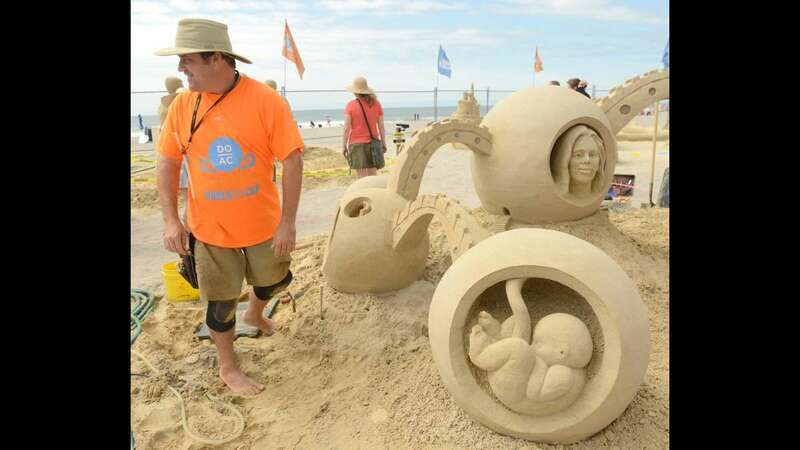 Each artist or team of two also received a tool to pack down the sand, but some preferred to use their feet to get the sand to the right consistency to form their sculptures. 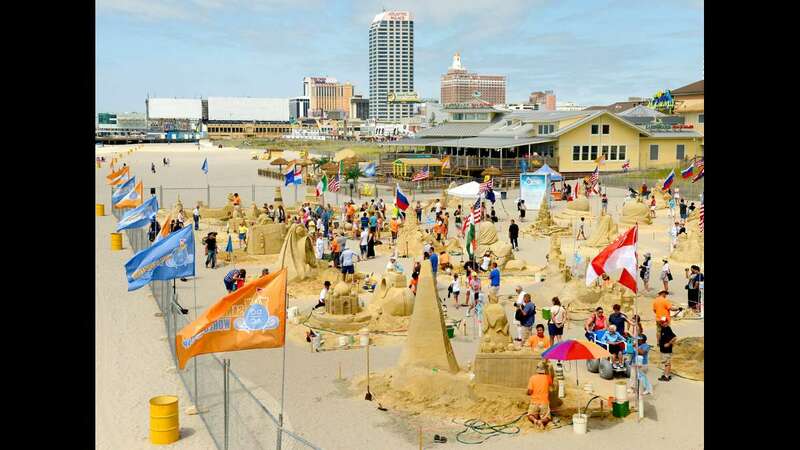 Their creations will be on display through the July 4th holiday weekend at the Pennsylvania Beach near the historic Steel Pier. 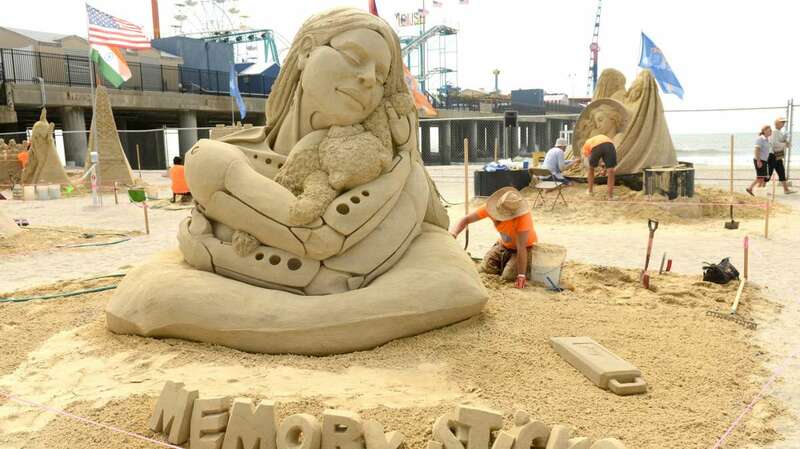 Viewing hours are from 9 a.m. to 9 p.m. and the event is free and open to the public. 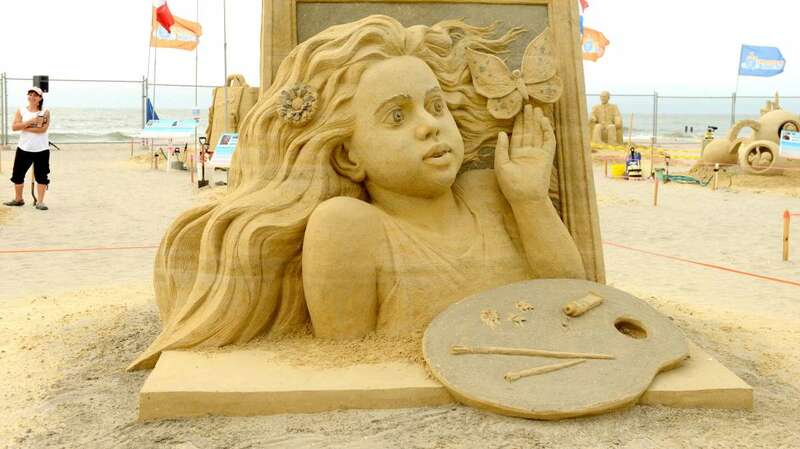 Last year 140,000 people attended the event. 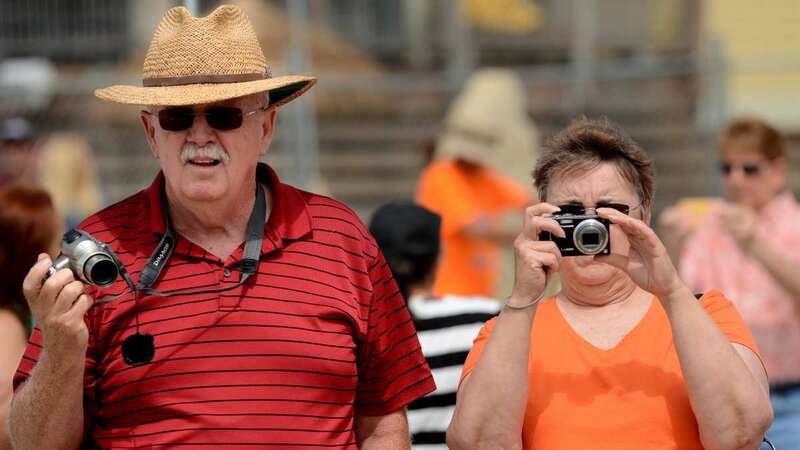 Organizers expect up to half a million this year.